Clear gold color. Exotic, spicy aromas and flavors of caramelized and grilled fruits, smoked nuts and peppercorns, rich pipe tobacco, and cedar incense with a silky, vibrant, dry-yet-fruity medium-to-full body and a smooth, complex, long finish with notes of creme brulee, white cigar ash, smoked nuts, and peas finish. A wonderfully rich and smoky whisky with an elegant balance and approachable style. Bottom Line: A wonderfully rich and smoky whisky with an elegant balance and approachable style. 91 • Diplôme Dry Gin Original 1945 Recipe 44% (France) $36.00. 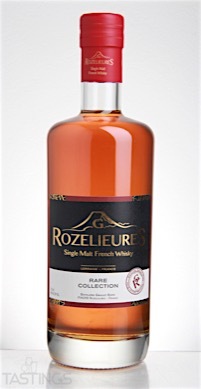 91 • Rozelieures Single Malt French Whisky Rare Collection 40% (France) $64.00. 90 • Rozelieures Single Malt French Whisky Fumé Collection 46% (France) $80.00. 93 • Rozelieures Single Malt French Whisky Tourbé Collection 46% (France) $90.00. 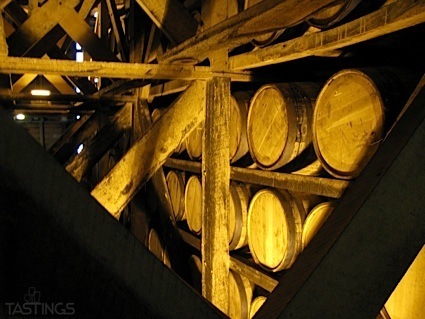 The French drink more Scotch whisky than anyone else and today, there are a few distilleries, primarily in Brittany, that craft a different style of whiskey. These are not peaty examples with notes of iodine as in Scotland, but rather elegant styles with notes of apricot, toffee and orange marmalade with a gentle spicy finish. The best are quite elegant and stylish and would be fine sipped in a small snifter or mixed in refined cocktails. Rozelieures Single Malt French Whisky Rare Collection rating was calculated by tastings.com to be 91 points out of 100 on 8/25/2016. Please note that MSRP may have changed since the date of our review.